Corrugated metal roofing offers the original style of corrugated (iron) steel roofs. At an average cost of $4.00 to $5.00 per square foot installed, corrugated metal is priced similarly to asphalt, and yet it’s far more durable, energy efficient, and with proper maintenance can last far longer than asphalt shingles. What Exactly Is Corrugated Metal Paneling? Sheet metal coil, typically galvanized steel or aluminum, gets fed into a roll-forming machine that shapes the metal sheet into the curvy U-shaped, wavy pattern — the primary variation for corrugated metal roof and wall panels. During the height of the Industrial Age, steel became relatively cheap and abundant. Metal was viewed as the kind of material that offers an economically-viable way to cover large agricultural and industrial buildings. Back then, the corrugated steel panels were often non-coated, but that was not a problem, since there were plenty of spare steel roof and wall panels to replace any corroded ones. As steel corrodes, it develops visible rust. When the old steel panels would get too unsightly, or worse develop holes resulting leaks, they would get replaced with the shiny new pieces. Today, corrugated metal panels are often chosen because of their old school appearance and relatively low cost. Most modern corrugated steel panels are normally coated with a metallic (zinc) finish to prevent oxidation and corrosion, and thus made to last for decades. Steel panel coating process is referred to as galvanizing. There are two types of galvanized steel panels; G-60 and G-90 steel panels. G-60 refers to low-end, lower quality, and low cost galvanized steel, while G-90 is a higher-end, longer lasting grade of galvanized steel. G-90 steel panels are also normally finished with a higher-end paint finish such as Kynar 500 as opposed to the cheaper acrylic paints normally used for the low-end G-60 steel panels. Note: G-90 steel panels finished with Kynar 500 paint can be used in residential applications, while G-60 panels should only be used for sheds, garages, and low-end agricultural or industrial applications. Corrugated metal panels are not the same as crimped or ribbed metal panel. Corrugated metal refers strictly to the U-shaped, or sometimes V-shaped panel sheets. 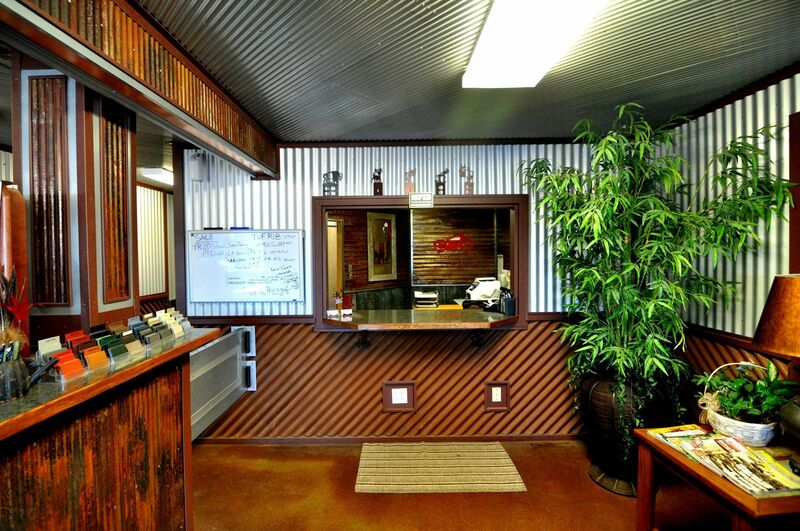 The rustic appearance of corrugated metal panels hearkens to the simpler time, or way of life. But, the main benefits of corrugate metal panels are their cost effectiveness, durability, and a wide range of available colors and paint finishes. Corrugated panels tend to be 2 or 3 feet wide and come in varying lengths. When covering a roof, panels overlap along their curved line. They are then fastened together with metal screws that penetrate not just the two panels, but into the roofing deck. Obviously, the metal panels themselves will shed water given the slope of the roof and the fact that metal is not a porous material. Yet, with the overlap, a seam is formed and to prevent linking in that tiny gap, caulk is used. Covering the entire roof with corrugated metal panels can go rather quickly, once the installer has the necessary experience and help from others. Thus, corrugated metal roofing can be a fairly simple DIY project when covering a small shed or garage, as explained in this guide from DoItYourself.com. However, the process can be a bit grueling for the less experienced and would benefit from professional installation, like all roofing projects. And since the cost is not too high, it would be best to go with the insured and certified professionals, providing warranties on their products and workmanship. When it comes to options, it’s really about the actual material, the thickness and the color options. Steel is still the primary material option. In today’s world it is routinely coated or labeled as galvanized steel. Sometimes, you’ll see it as Galvalume steel (zinc and aluminum metallic finish). — Both of these coating option offer a layer of protection that will take a decade or two to sacrifice themselves before the steel is exposed. Thus, rusting is no longer a problem for at least 20 years from the time the roof is installed. Aluminum is another metal option for corrugated panels. The costs are virtually the same as (coated) steel. Stainless steel (which is an alloy of steel and chromium) is also an option, but stainless steel is more expensive. Stainless steel corrugated panels are highly corrosive resistant and will provide a more shiny appearance than normal steel products. Typically, the products are sold in a 26 or 29 gauge. The smaller the gauge number, the thicker the material. And the thicker the material, the more durable it is. Though thickness does add a little more to the labor intensity, and hence cost. Note: You should aim for a minimum of 26 gauge steel when evaluating residential steel roofing options. Color options are virtually unlimited. This references the painted finish. The DIY approach to painting such panels is there, but is likely way more expensive than a factory finish. The factory process feeds metal panels through the metal mill and coats it evenly in short order. Using superior paint pigments, it also shields the product with yet another layer of supreme protection. If going with a professional contractor, they’ll probably have brochures of color lines that they carry (usually 10 to 40 options). Customized color options are available, but usually at a premium cost, as they aren’t massively produced. Your local home improvement store, like Lowe’s, probably carries such panels. These will be inexpensive, though size and for sure color options will be limited. Keep In Mind that corrugated metal panels aren’t just for roofs. Chances are good that your roofer will have left over some material (unless otherwise noted in the contract or specifically discussed) that you might find use for as siding in an exterior shed, or even in interior projects. Take a gander at the picture below for some ideas on how the panels can be used indoors. 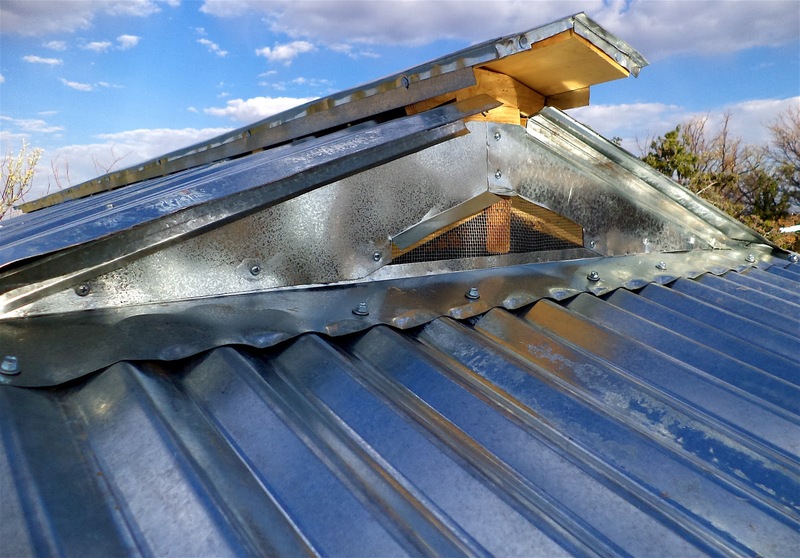 Corrugated roofing is the least expensive metal roofing option, while Standing Seam is by far the most expensive option. With corrugated metal roofing, it starts in the $3.00 to $4.00 per sq. ft. range. — That’s a full installation of say G-60 galvanized steel, 29 gauge, painted (with acrylic paint) panels, charged by the square foot. The G-60 refers to amount of metallic finish per sq.ft. While this is the low cost option, it is still much higher quality than our ancestors went with 150 years ago. If wanting a good mid-range option, like G-90 galvanized steel, 26 gauge, factory finished Kynar 500 paint (not acrylic paint), then the range is around $5.00 to $8.00 per sq. ft. installed. The reason for the larger range on the second option is the other things that would be considered, such as quality of the installer, your location, complexity of your roof, along with how steep the slopes are, and whether the existing roof needs to be torn off or not. Even at $6.00 to $8.00 per sq. ft., high-end ribbed metal roof with concealed fasteners is less expensive than Standing Seam. Though, standing seam does have an important benefit of hidden fasteners, and hence far less chances of leaks in the first 30 years. Did you know? 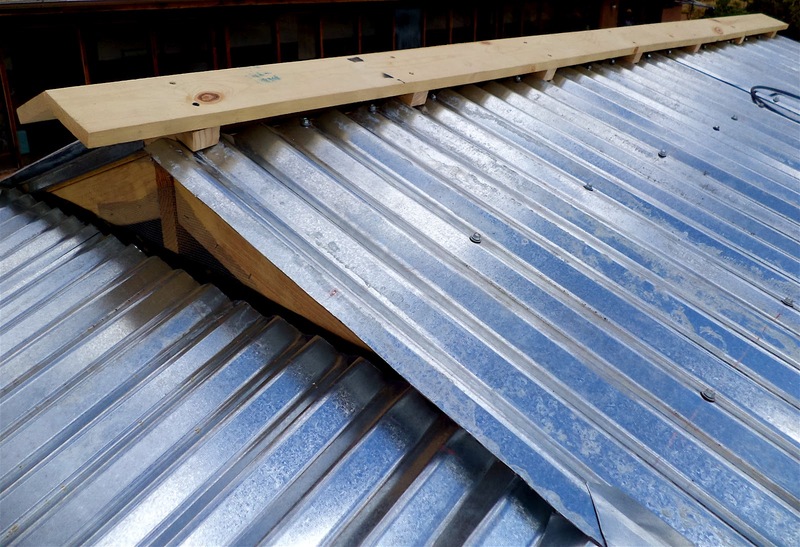 Corrugated steel roofing panels generally contain over 30% of recycled steel, which qualifies the product for LEED credit awarded by the green building council. Metal roofs have an excellent ROI, or the value you can expect to get for your corrugated metal roof at time of selling your home. The national average cost recouped is about 86% of what you initially put in.